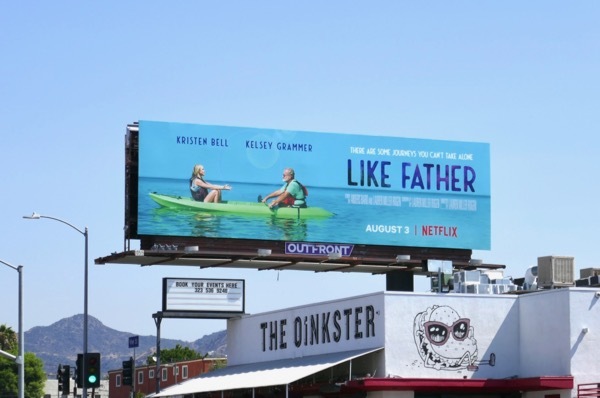 If you're looking for a gentle comedy to relax with this weekend, then Netflix has the original movie for you in the form of Like Father. 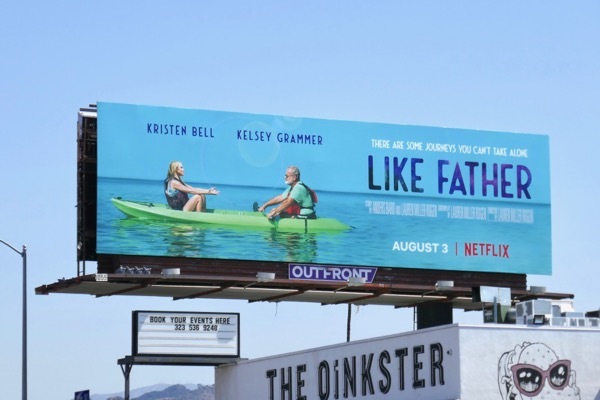 Kristen Bell plays a workaholic New Yorker left at the alter and Kelsey Grammer is her estranged deadbeat father that shows up for the wedding, gets drunk with his daughter and ends up with her on her honeymoon cruise. It sounds like they'll both have a lot to talk about on their voyage of discovery. 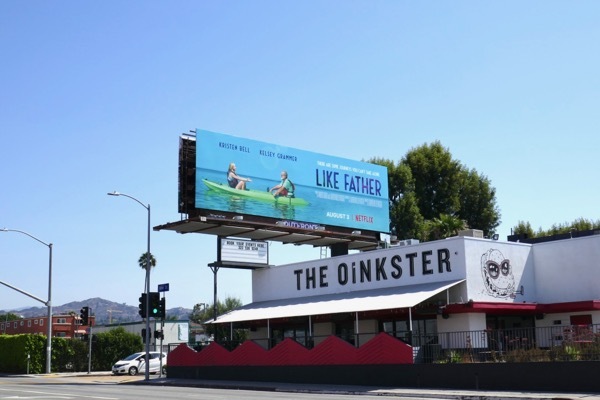 These Netflix film billboards were spotted along Robertson Boulevard on July 31, 2018, plus the next day along Vine Street. 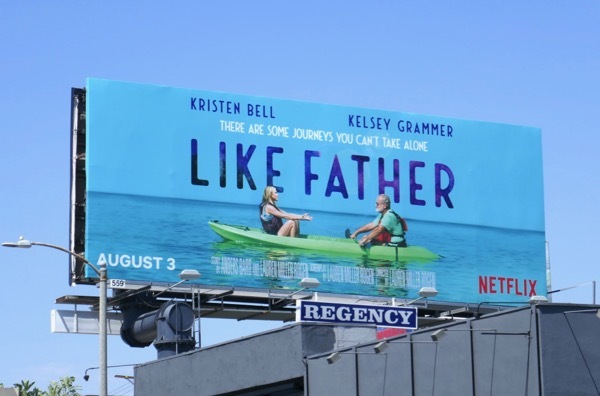 Fans of Kristen Bell can also enjoy these billboards for The Good Place and these House of Lies billboards. Meanwhile for more of Kelsey Grammar, be sure to check out these billboards for Boss and these The Last Tycoon billboards. 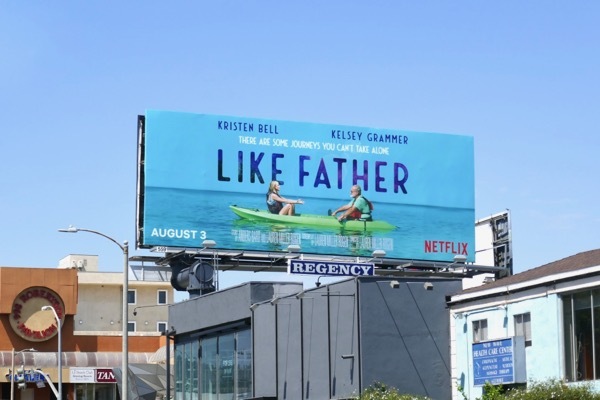 The streaming giant continues to offer up a real mix of movies from every genre, so let's see if two sitcom stars can't make you smile this summer with their new father and daughter feature.